Thanks to Paul Crawford, Kate Scarborough and Martin Hugall for the above photos. 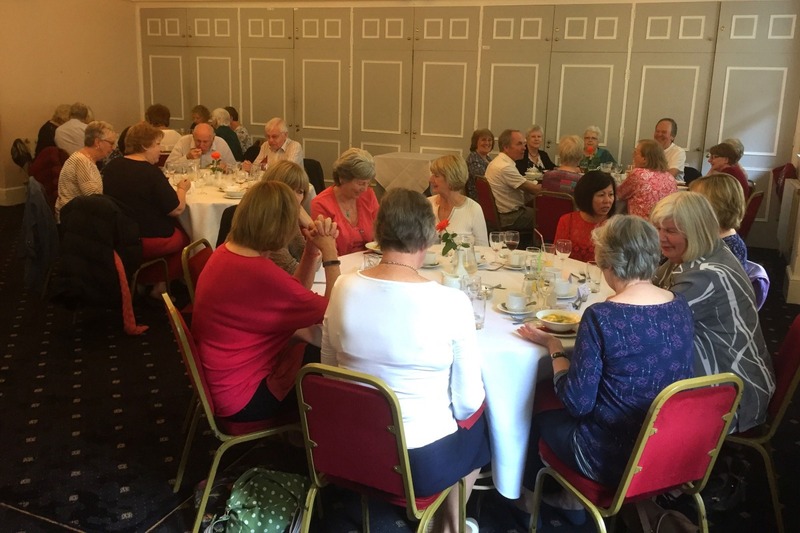 Welcome to the SAFFRON WALDEN U3A website, where we hope you will find all you need to know about our organisation. We are proud to be the first U3A to be set up in Essex in 1983. There are now approaching 1,000 U3As nationwide with a membership of over 800,000. We are a self-help, self-managed, lifelong learning co-operative for those who are retired or semi-retired, providing opportunities for our members to share learning experiences in a wide range of interest groups and to pursue learning not for qualifications, but for fun. Most of our 800 plus members reside in and around the ancient town of Saffron Walden – a market town since 1141, famed for its many pargetted buildings. New members are always welcome, See our Membership page for details about joining or to make contact. We currently run about 36 classes and activities as listed on our Groups page. Term times are similar to school terms, running from September to July but a number of groups meet throughout the year. We also hold Open Meetings on the 3rd Monday of each month with a guest speaker – please see the What’s On page for future dates and topics. 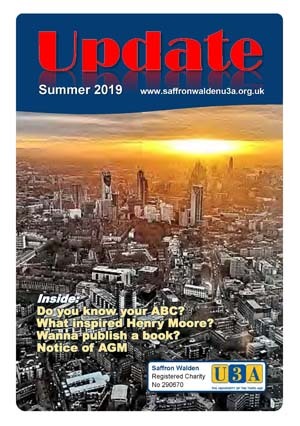 We produce our “UPDATE” Magazine for members three times a year for Spring, Summer and Autumn terms. Please see the link at the top of the right hand bar on this page or visit our Publications page. Members also receive “Third Age Matters” 5 times a year from our parent organisation, Third Age Trust. See also our U3A and Useful Links page for National U3A information and special national events, courses, etc. Saffron Walden U3A is a Registered Charity No. 290670. Click on above image to download the latest Update Magazine. Earlier editions can be accessed on our Publications Page.